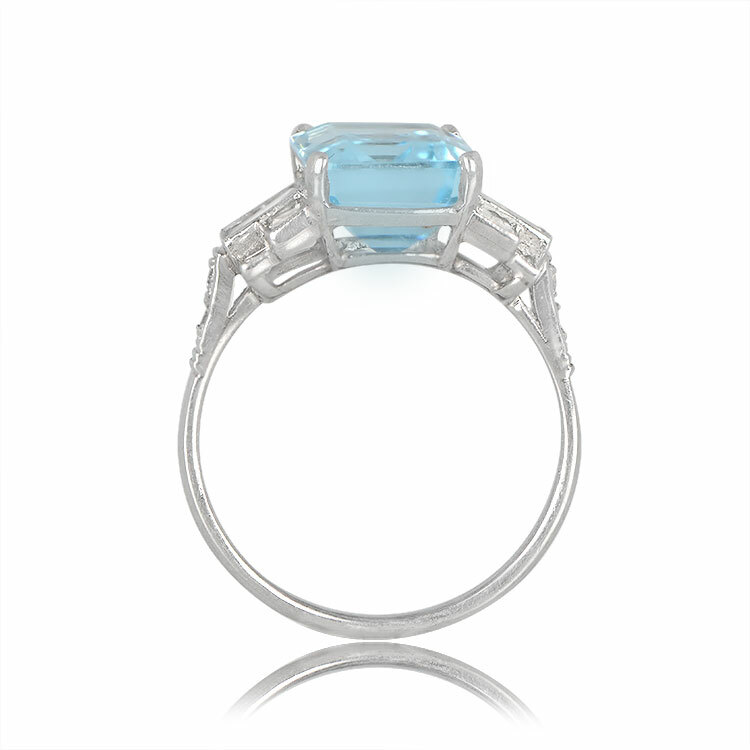 The Seine Ring features a deep saturation aquamarine, framed by baguette-cut diamonds on either side and adorned with diamonds on the shoulders. Prongs hold the center stone by the corners and lead towards the open gallery. 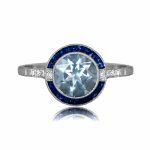 The setting is made from handcrafted platinum. 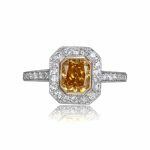 Millgrain adds delicacy to the ring. 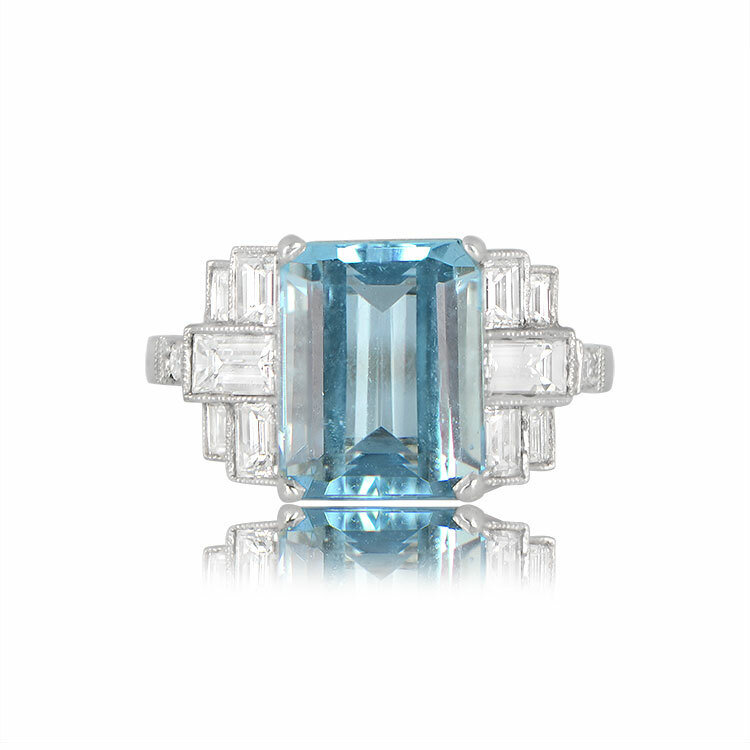 The center aquamarine weighs approximately 3.65 carats. 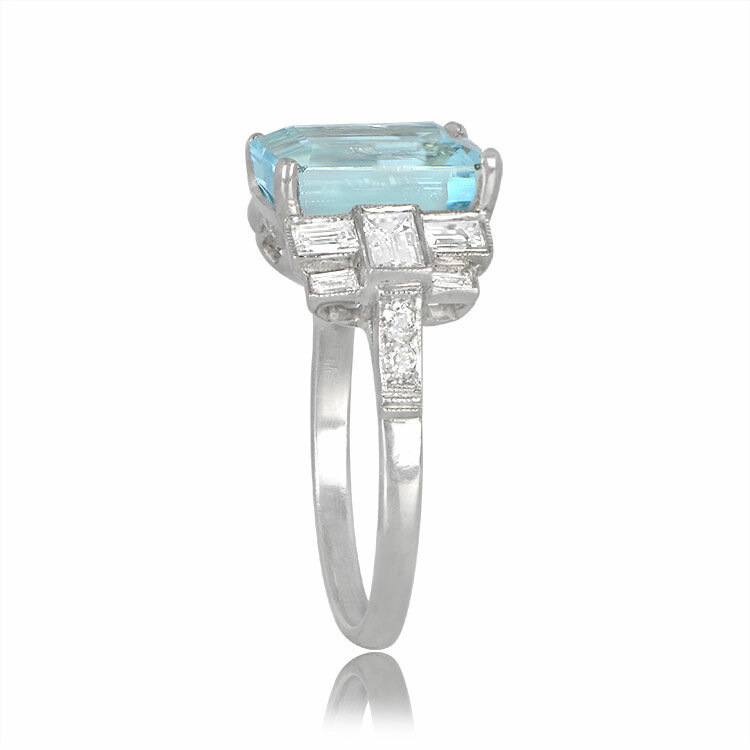 SKU: 12176 Categories: Aquamarine Engagement Rings, Vintage Engagement Rings - Contact us and request additional pictures.